Catholics take Advent very seriously. So does the LEGO Company. Michael wants this so bad! But by the time he would get it for Christmas, Advent would be pretty much over. 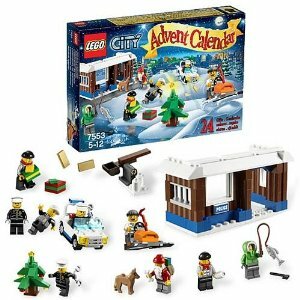 I got them these $1 chocolate Advent calendars at Aldi for a grand total of 5 bucks, and this LEGO one is like $30. I told God that if I get a writing check in the mail today for $30 or more I might just have to go get one because it looks like fun. We shall see.